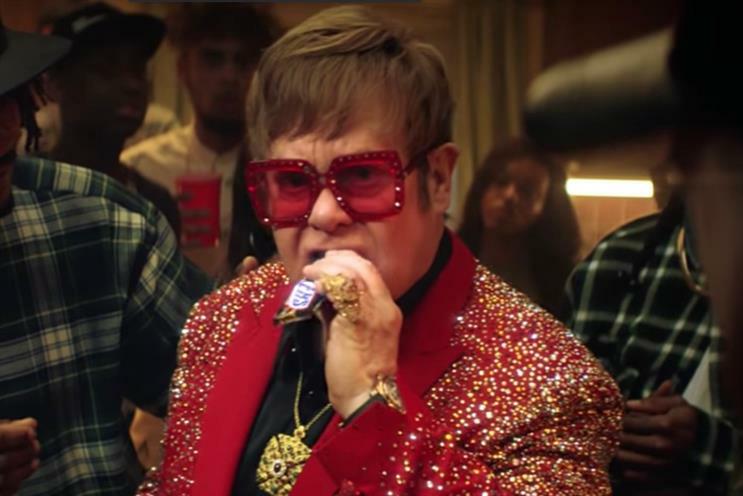 John Lewis & Partners has revealed its latest Christmas campaign, "The boy and the piano", which follows Elton John’s life in reverse and features his first hit, Your Song. But it’s far from the first time the Rocket Man has appeared in an ad campaign. Here's a look at some of his previous appearances. In what must be one of the most high-profile casts in advertising history, John appeared with Humphrey Bogart, James Cagney and Louis Armstrong in this spot, in which he performs a ditty about the great taste and one calorie per serving of the miraculous soft drink. Technically an ad for the BBC’s music coverage, this popular cover of Lou Reed’s 1972 hit brought together the likes of John, David Bowie, Bono, Emmylou Harris and Reed himself, and later reached number one in the UK. Playing on John’s reputation as a shopaholic and the then-novel phenomenon of online shopping, this spot found the singer struggling philosophically with the concept of virtual items that live only in cyberspace, before being drowned in brown paper parcels by a gang of postmen, to the sound of I Want Love. Truly special stuff. Although not a lipstick wearer himself, John posed with Shirley Manson and Mary J Blige in this print campaign for the cosmetics brand. The start of an enduring relationship between the two Johns, this spot – the second Christmas ad from Adam & Eve/DDB – featured a cover of Your Song by Ellie Goulding. If your nightmares haven't been vivid enough lately, revisit this Super Bowl spot in which John plays a Henry VIII-meets-RuPaul tyrannical monarch forcing his courtier to belt out pop classics in exchange for Pepsi. Don't tell Diet Coke. Possibly not an official appearance, this teaser for The Sunday Times Rich List featured John as one of a series of famous monied types, reimagined as a literal overweight feline. A bit like Perfect Day, but not as good (sorry), this one has John sandwiched between Emeli Sandé and Lorde. This time with the original recording but not yet going the whole hog of putting the man himself into the story, this charming spot for the retailer’s insurance features an enthusiastic young ballerina putting her parents’ precious glassware in peril. 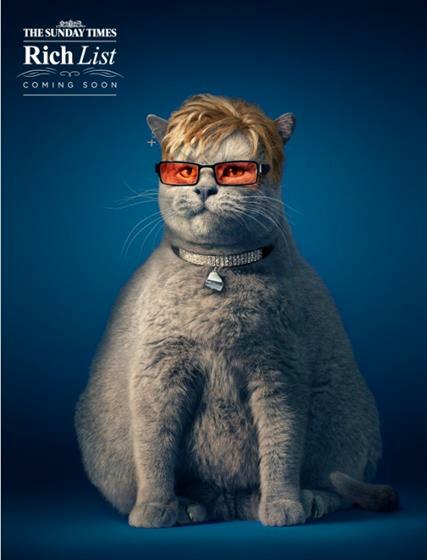 John appeared as the hungry alter ego (or should that be Elton-ego?) of LA rapper Boogie in this continuation of the Snickers campaign, "You’re not you when you’re hungry", which was created to replace the long-running film starring Rowan Atkinson as hungry ninja Mr Bean.